With bizarrely pleasant February weather, we just couldn't stay inside the whole time! 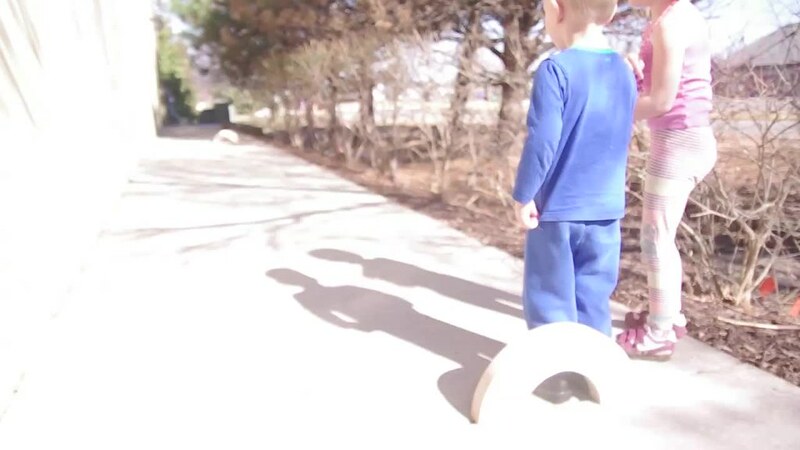 This week's play spilled out onto the back sidewalk, but first, we started inside. 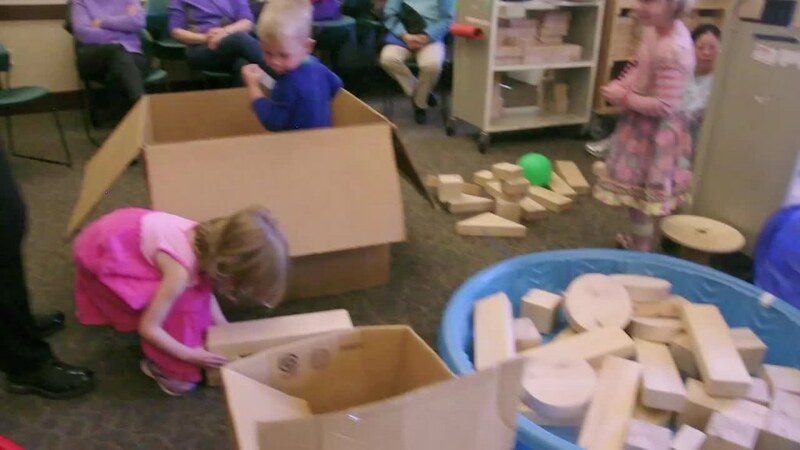 The cardboard box saw a lot of activity this week, especially with blocks being loaded in and tossed back out. 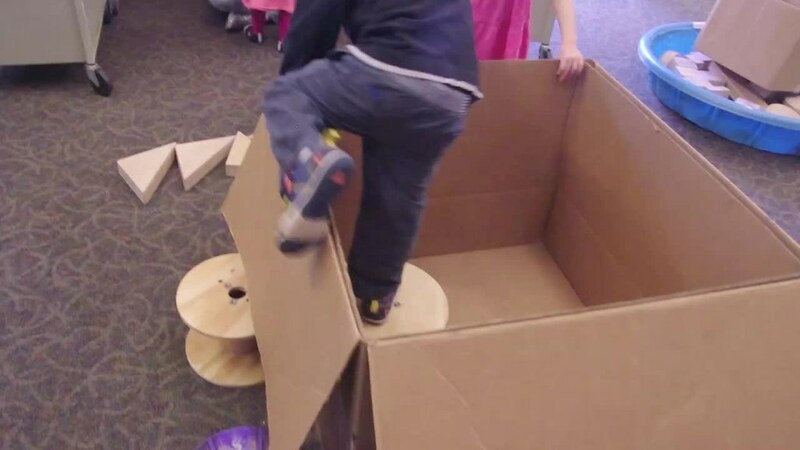 This child was struggling to get out of the box until his sister set up a spool inside and outside the box. I love this video of three (maybe four!) different ways to be inside something. 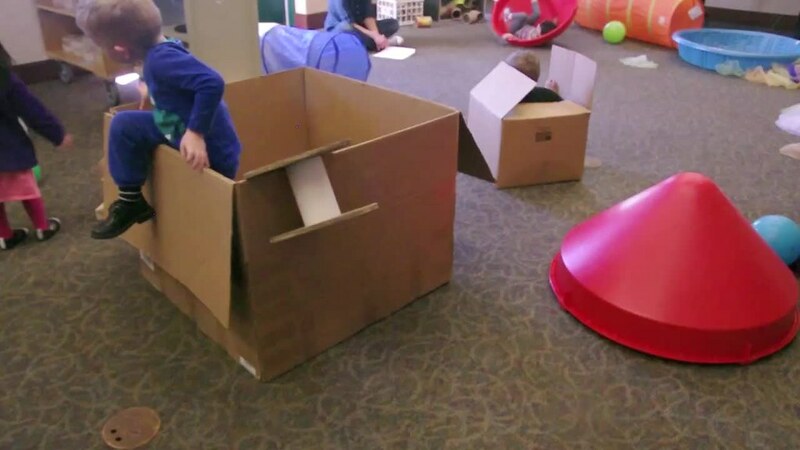 These pop-up tunnels have proven to be quite versatile! 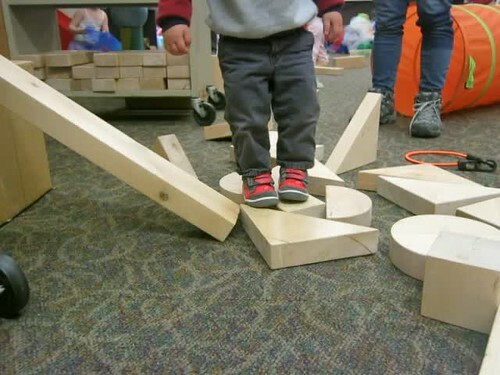 In this photo, a younger child was trying to knock over his structure, but instead of shouting or pushing, he simply placed a firm hand on top of his tower to keep it steady (and to mark his territory) until the younger child moved on. 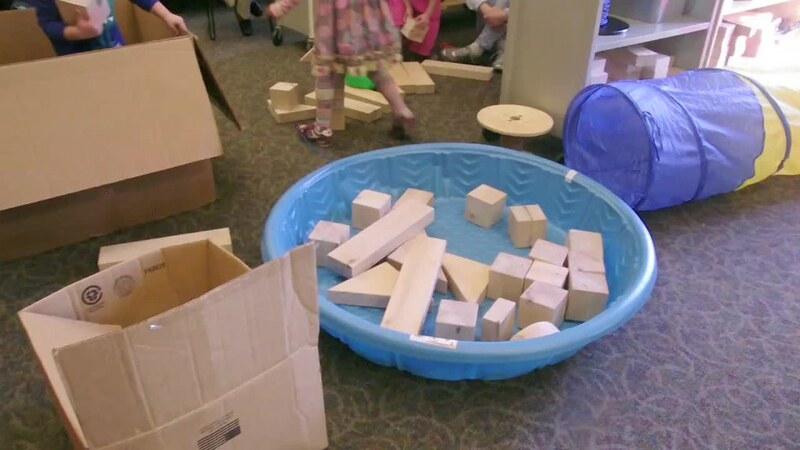 The blocks were also incorporated into a racing game. First video is the set-up of the rules of the race, second video is the race itself. and some lovely pieces of nature were scavenged. There were some fantastic adult reflections this week and some great drawings by kiddos too. I hope to add some of those in this space soon! Occasionally adding new elements to the play adds new explorations. The markers were dumped onto the floor almost immediately. 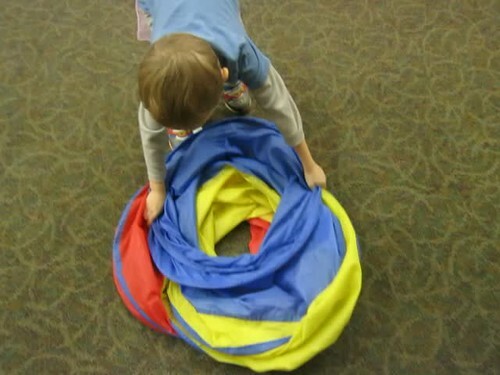 Several kids, trying to walk through them, experienced the slippery, roll-iness of markers. The parents and I discussed whether or not to clean up the markers to avoid more falling. In the end, because the kids didn't seem to be engaged with exploring that slippery, falling feeling, but more experiencing it as they ran through on their way to something else, we decided to pick them up and to ask the kids (who'd dumped them) to help us pick them up. I was concerned that this was interrupting his flow of play (as he'd moved on to a different activity by then), but I also wanted to encourage him to be responsible for cleaning up his own supplies when he was done with them. This is all such a balancing act of trying to figure out when to step in and when to step back! I still question my decisions each week. How about you? What would you have done? He did enjoy the challenge of getting the lid off the container by himself! 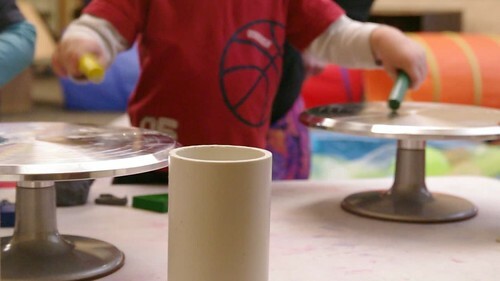 One of my favorite little moments during this activity was when he accidentally picked up a short, cylindrical wooden block and a marker that was missing a top and he tried to put the block onto the marker as the top and it took him a moment to figure out why it wasn't working. These girls loved exploring the table from on top! 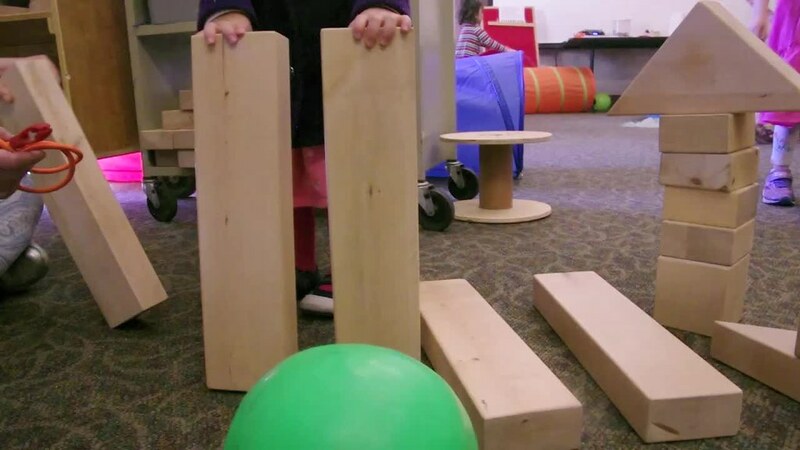 And (although it's hard to tell from this photo) there was some rolling action going on, rolling these cylindrical blocks down this wedge-shaped block. This little one is exploring ropes and clamps and how, depending on how you position the clamps, they can either slide along the rope or hold it tightly. This was his first AnjiPlayDate experience and his mom and I had a great discussion where she talked with me about how challenging the "hands down, mouth closed" rules are (I know! They're a huge challenge!). She tried an interesting response when her son was struggling with another child and looked to her for help (because she generally would step in and help the kids mediate their struggle). This time, she just looked back at him and shrugged and smiled. This response allowed him to decide for himself how he wanted to respond and whether it was worth continuing the argument. He chose to just walk away and try a different activity. She noted that how we respond, emotionally, to conflicts like this strongly influences our children's responses. The play got a deeper focus and much more intentionality this week. Check it out! This older participant has created two play story notebooks. The photos above and below are today's entries in her two notebooks. I'm not sure what she's making, but this is a realllllly long skinny string of clay! This artist told me exactly how he made this flower (which he tells me is a tulip), "I made a bunch of semi circles, lined them up, and then rolled them all together!" And this sailboat. The blue blocks below are water. 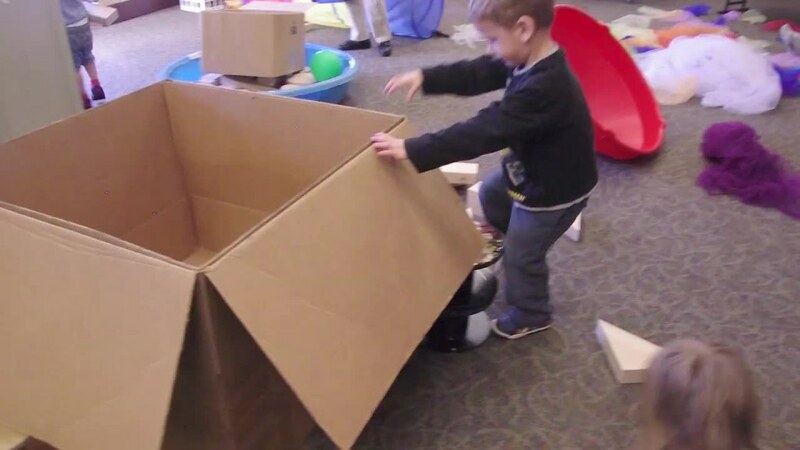 Here is his play story of his sailboat. I asked him what the yellow spot in his picture was and he said, "it was just a block on the table behind the boat." 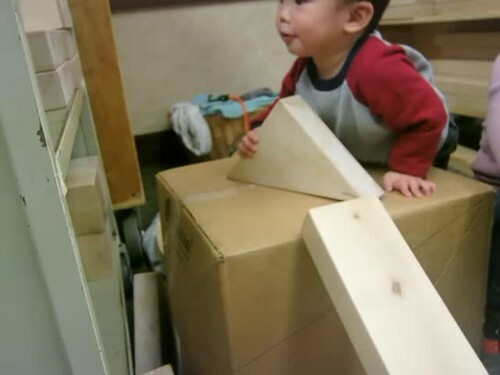 at the end, I was so excited to see him try out the sloped block, but it wasn't quite stable enough and he fell. Mom was ready to step in and comfort him and he was able to calm down and feel better soon. 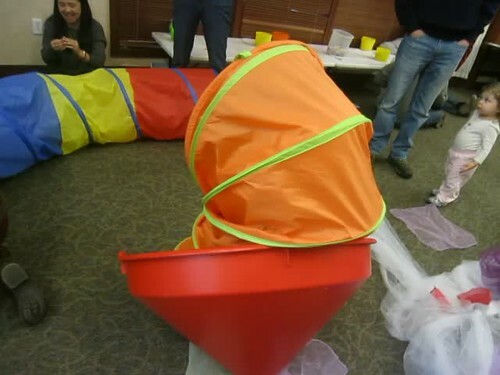 Minor mishaps like this are a fairly standard part of Anji Play (and, indeed, childhood!) 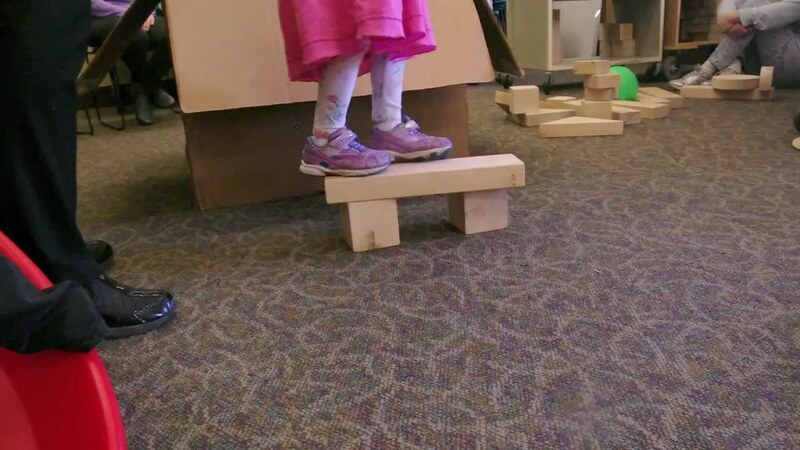 and help kids to gain a better understanding of what structures are "safe" and which need to be adjusted in order to be safe. 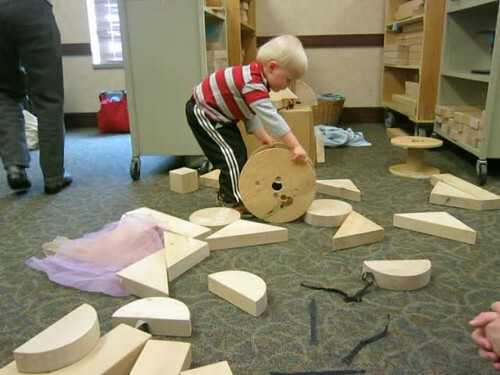 According to his play story, this wheel was a "cutter." It's apparent from the video above that he has a specific purpose in mind and I didn't want to interrupt his "flow" to ask him about it, so I was pleased to see that he'd incorporated it into his play story. I also love how near the end of the video, the wheel turns into something he can sit on. I wonder if, when he went to the cart, he was looking for a spool large enough for him to sit on more comfortably?